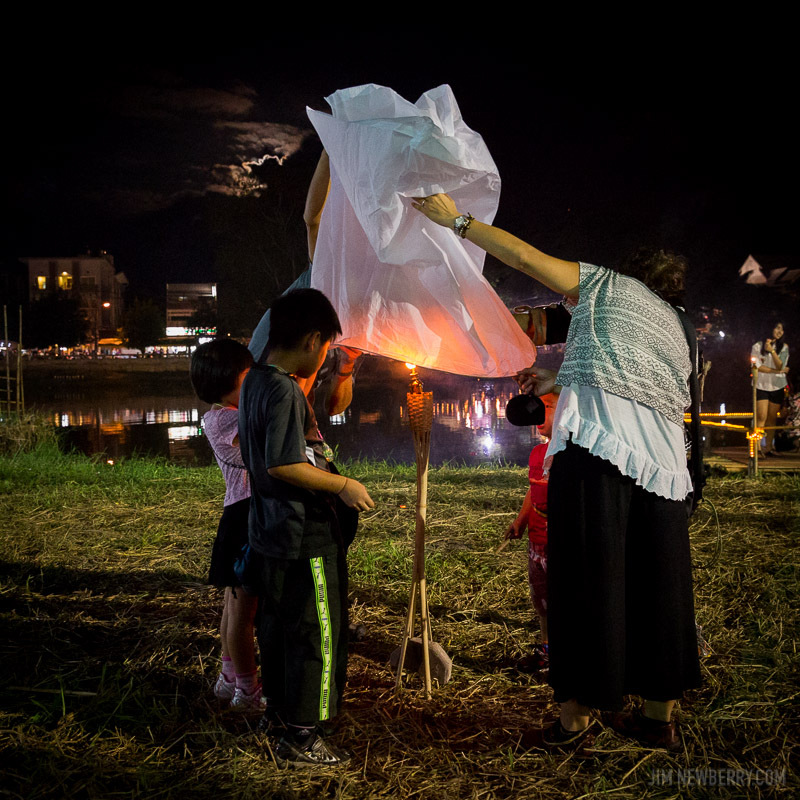 Loy Krathong is the Thai festival that takes place during the full moon on the twelfth month, according to the Thai lunar calendar. 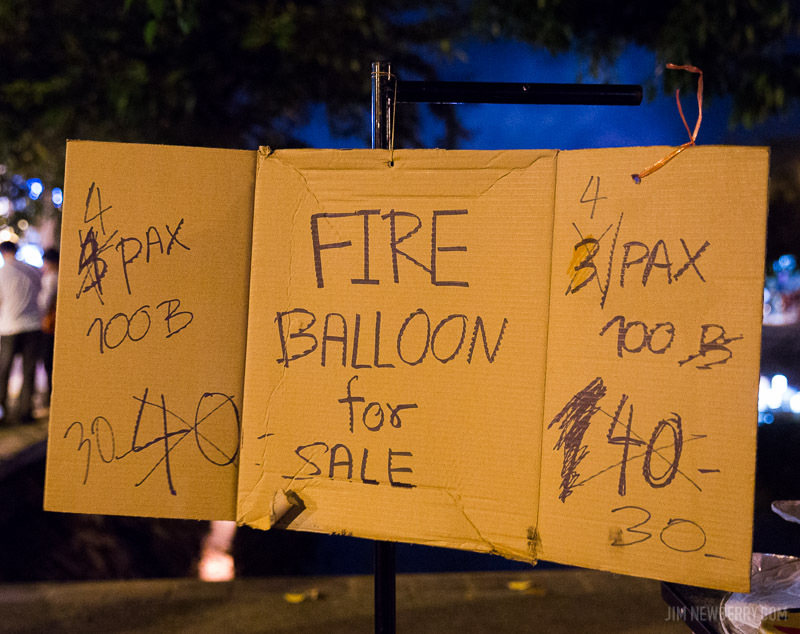 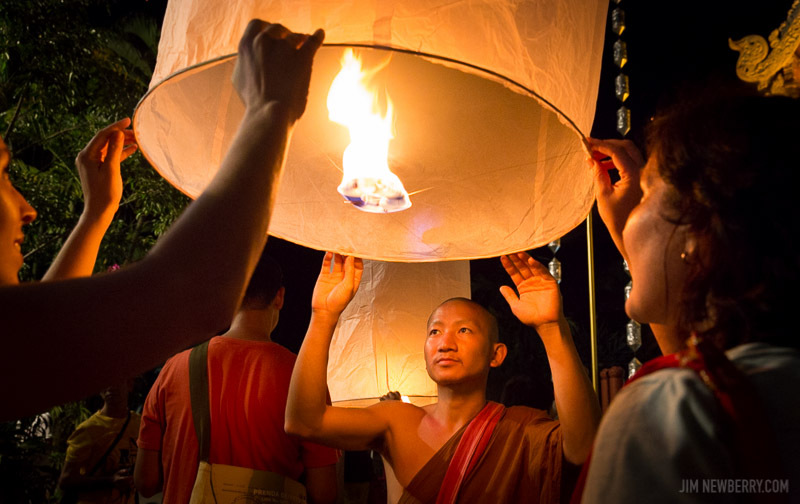 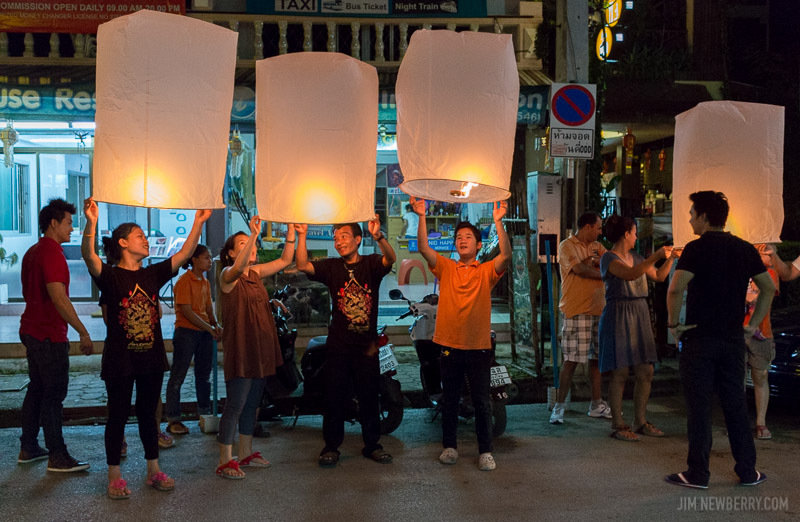 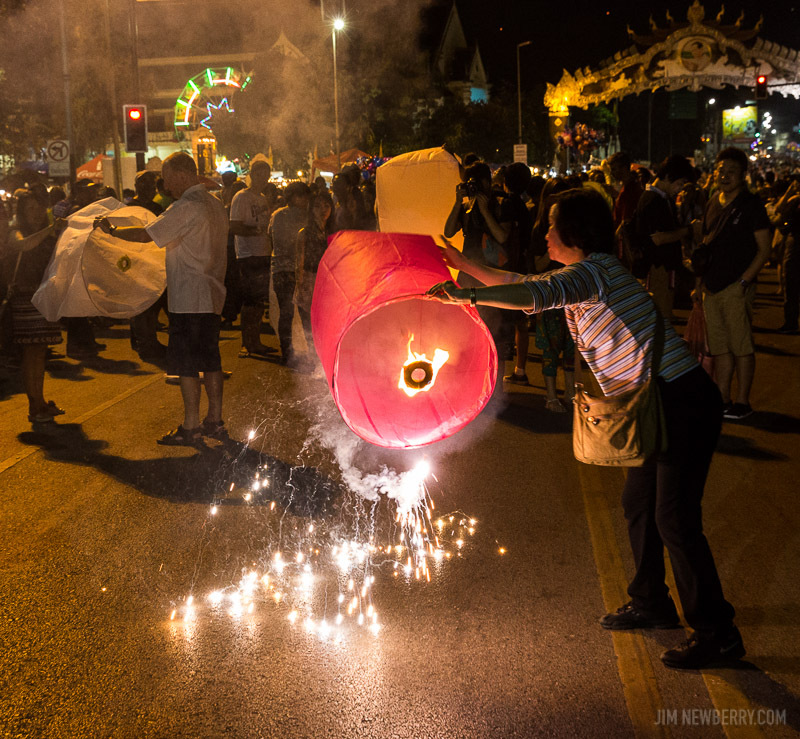 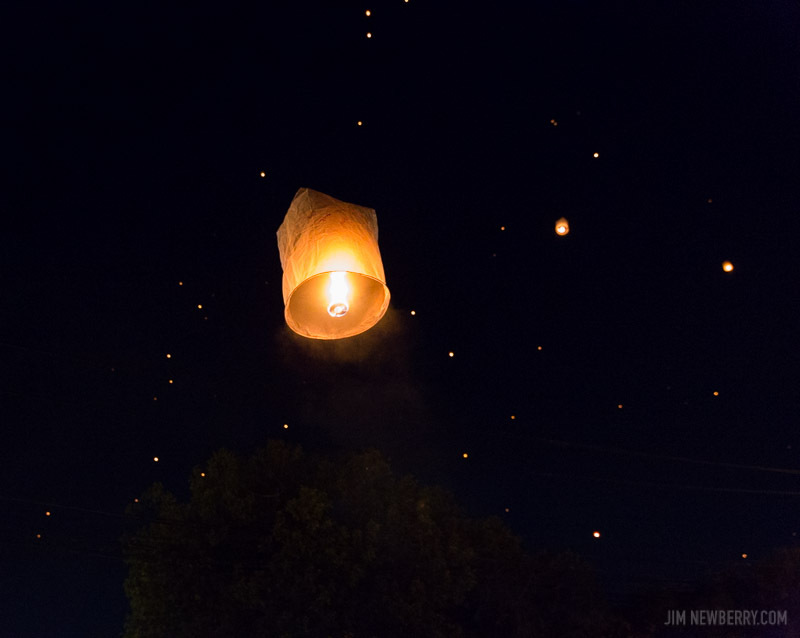 Chiang Mai’s version of this celebration is called Yi Peng, and involves launching paper hot-air balloons called sky lanterns. 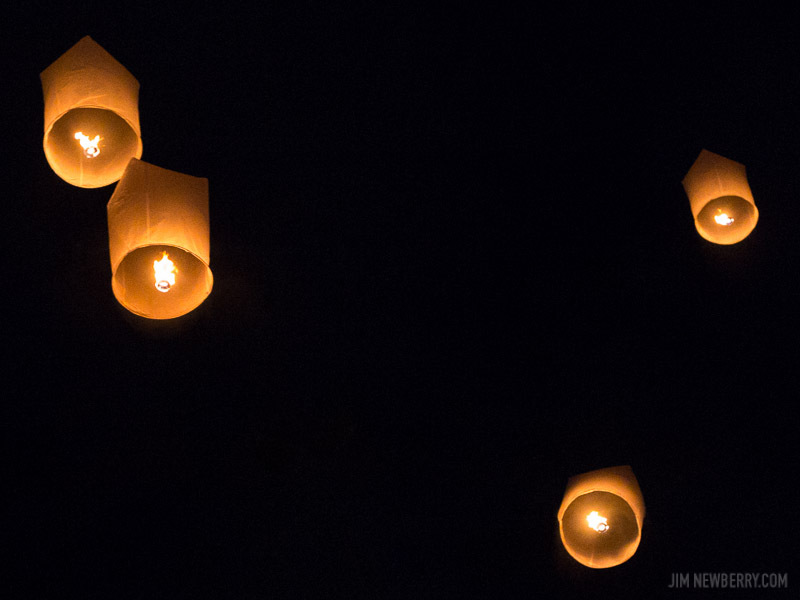 This is one of the most enchanting, magical events I’ve ever laid eyes on. 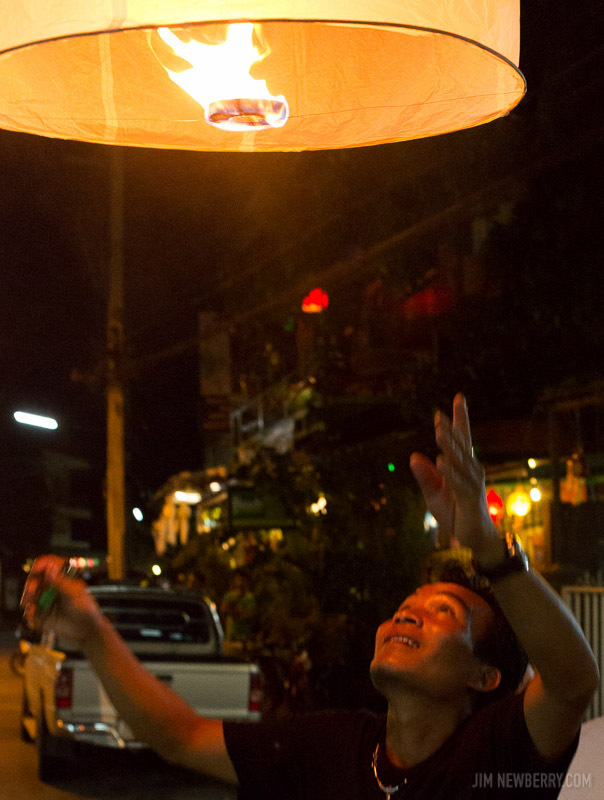 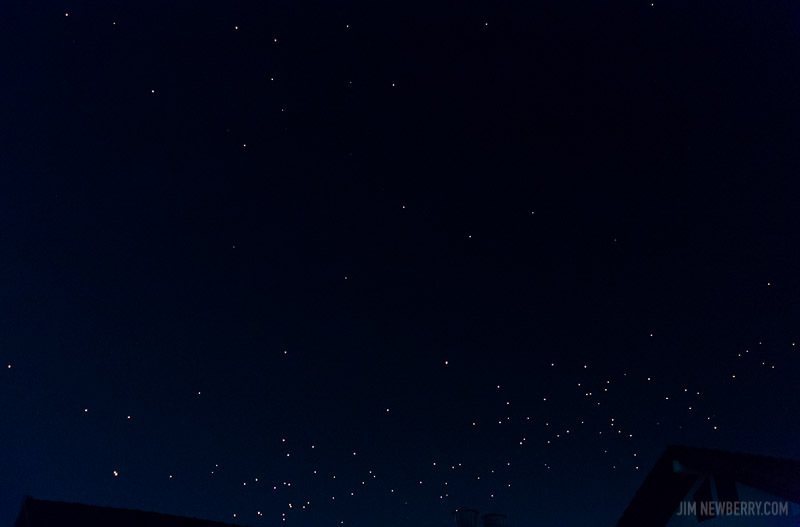 All over the city locals and tourists ignite the lanterns, hold them above their heads while they fill with hot air, and then release them into the night sky, which becomes dotted with hundreds or thousands of flickering, glowing lights like gigantic fireflies.